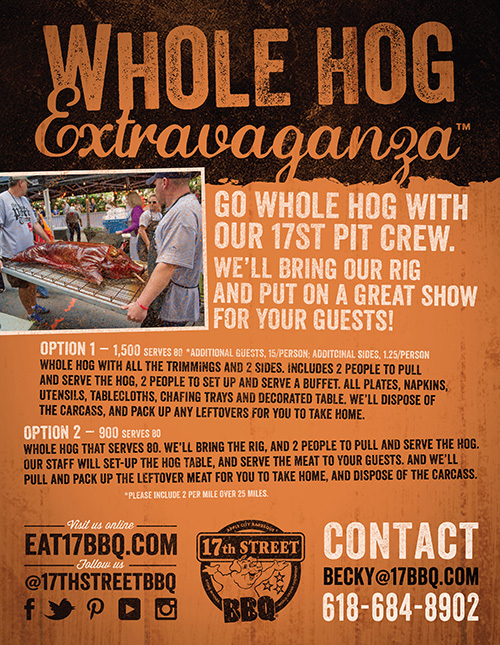 Here are the details for whole hog catering from 17th Street. We’ve taken this show on the road all over the midwest and even to New York City. Book your event today. We’d love to help you go whole hog!